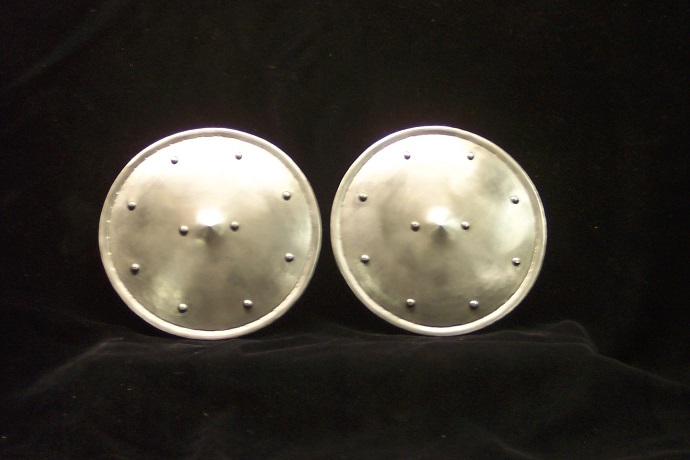 Both sets of spaulders are made from 16 gauge CR steel with rolled and counter sunk or beveled edges where appropriate. They are strapped with hand made buckles in steel mounts with light decorative file and chiselwork. Articulation is on leathers in front and middle and slot rivets in back. 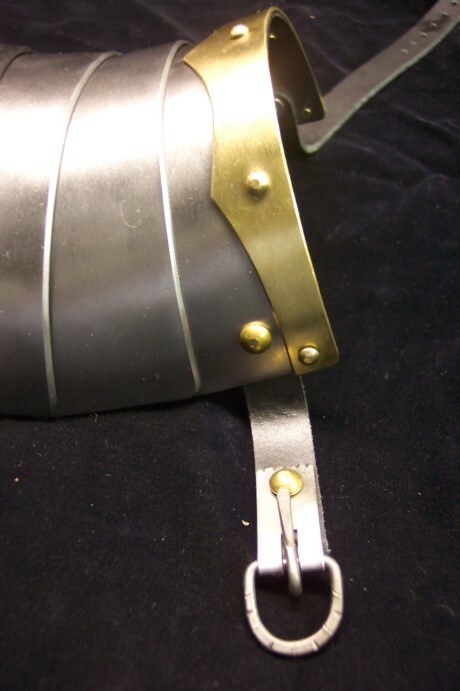 Both sets have eyelets at the tops of the shoulder plates for pointing but I can install buckles for attachment to a gorget for no extra charge. 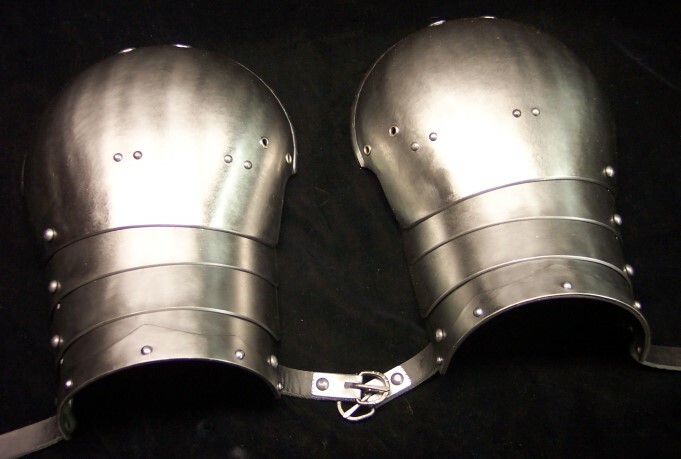 I am 14.5 inches at the biscept and they fit me fine ( I allowed room for arming coat and arm harness ) but I can alter curvature for sizing. 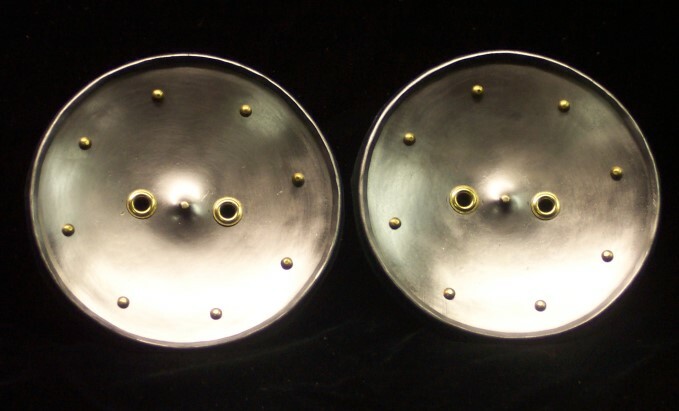 I'd like $85 plus shipping for the brass pair, and $80 plus shipping for the steel pair. 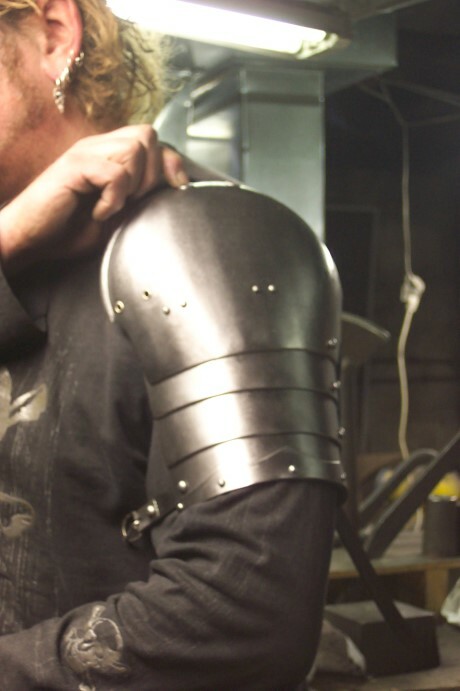 Both pairs of besagues are mede from 16 gauge CR steel. 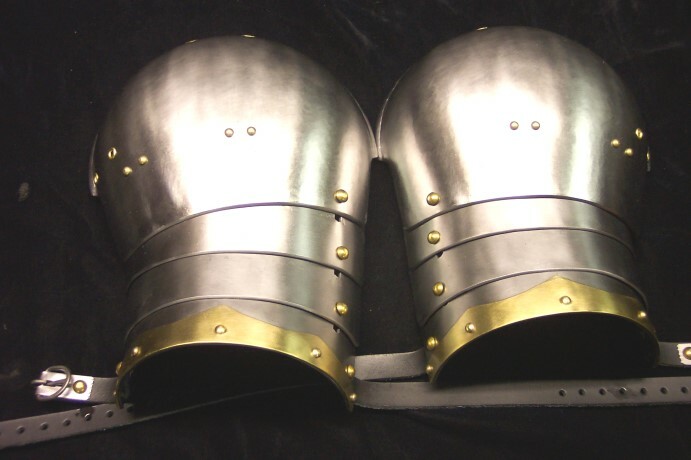 The steel rivet pair has rolled and counter sunk borders, is slightly convex, has a small raised peak in the center and is leather lined with tabs with eyelets on back for pointing. 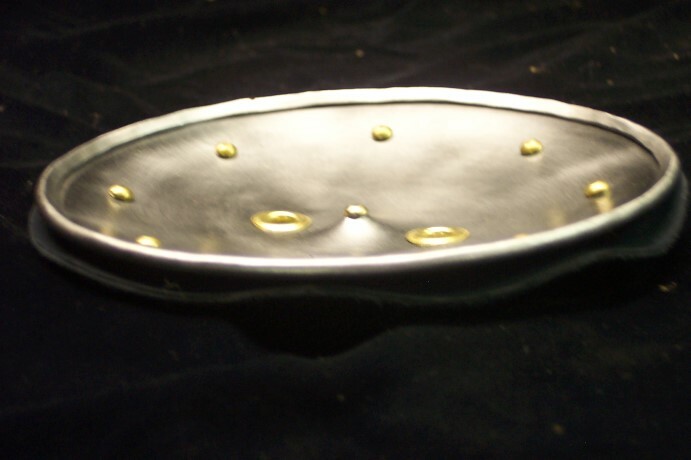 The brass rivet pair is slightly concave with outwardly rolled edges, a small raised peak in the center, is set with eyelets for pointing and is leather lined. Both pairs are 5.5 inches in diameter. $24 per pair plus shipping.